A new study is inviting people who care for someone with dementia to help investigate whether online therapy can help carers cope with feeling of stress, anxiety or depression. Researchers are looking for up to 750 carers from anywhere in the UK to sign up and assess whether an online programme called ‘Caring for Me and You’ can effectively reduce feelings of distress in carers. 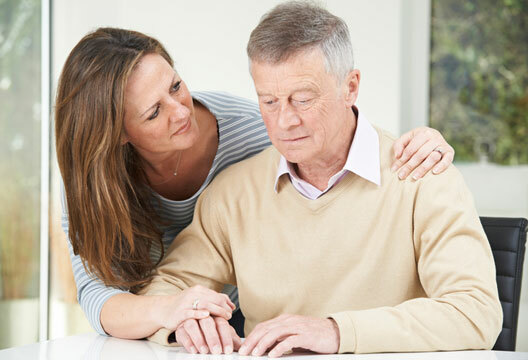 This programme will compare three different packages that have been designed for people who support someone with dementia: either computerised Cognitive Behaviour Therapy, with or without telephone support, or online psycho-education. Each has written, audio and video information for carers to use and consists of 20 20-minute sessions in total which can be completed at a time which most suits the carer over a period of up to six months. Carers who provide practical or emotional support to someone with dementia and are experiencing some stress or low mood are welcome to sign up. Participants must be over 18, live in the UK, and be comfortable using a PC or Windows laptop and have an internet connection. - Dementia is one of the British Psychological Society’s strategic priorities this year and recently its Dementia Advisory Group report, Psychological dimensions of dementia: Putting the person at the centre of care, was launched at the National Assembly for Wales. The report emphasises the need to understand the psychological impact of dementia in improving care.